Exciting News!!! We are thrilled to announce that we have located another USDA certified organic Noni Juice supply source. We know a lot of you were left hanging after the manufacturer we had used for years closed its doors, but as we promised, we diligently researched the market and located what we feel is the highest quality noni juice we have ever tasted at the lowest price we have ever seen, plus it comes with an added bonus—FREE SHIPPING! The name of the company is Healing Noni Co. LLC. We couldn’t help but ask them how they can sell their USDA certified organic noni juice at such low prices given the high cost of maintaining their USDA organic certification (which was a contributing factor in why our prior supply source closed its doors). The owners of Healing Noni said they keep prices low and affordable by selling FARM DIRECT. The noni juice had to be made from the fruit itself, not reconstituted from noni fruit puree or pulp concentrate. The color and consistency of the noni juice had to be light and thin not dark and thick, as a dark and thick consistency is often an indication that the noni juice was reconstituted from a noni puree or pulp concentrate. The noni juice could not contain any additives, such as sugar or flavoring. The noni juice could not be diluted with less expensive juices or watered down. It had to be straight, pure noni juice and nothing else. The noni juice had to have the distinctive, pungent smell and taste of the noni fruit itself. Be reassured, that’s how it’s supposed to smell and taste. If noni juice smells like grapes or blueberries, guess what? Yep, the noni juice has been diluted with the less expensive juice. The juice had to be made through the fermentation process, as it maximizes the content level of live enzymes and nutrients. The noni juice had to be offered in two forms 1) a USDA certified organic pasteurized noni juice, and 2) a USDA certified organic raw (unpasteurized) noni juice. We preferred that the noni fruit be harvested by hand. This may sound a little picky, but not really because machine harvested fruit can become damaged, which can lead to fungal and bacterial growth taking hold in the damaged area of the fruit and thus end up in the juice. Handpicked noni fruit ensures the highest level of care of the noni fruit during harvesting at the optimal ripeness, which in turn results in the highest quality of noni fruit juice. A noni fruit juice is only as good as the fruit from which is comes. As many of you already know, when we were ill from mold and chemical exposures after Hurricane Katrina, our naturopath (ND) prescribed RAW (unpasteurized) noni fruit juice to the children and adults in our family. The raw noni fruit juice ended up being one of the components of the natural healing treatment plan that ultimately restored our family’s health. Although the dosage levels our ND prescribed to us are listed in our book, they are only included as information for readers to share with their doctors. 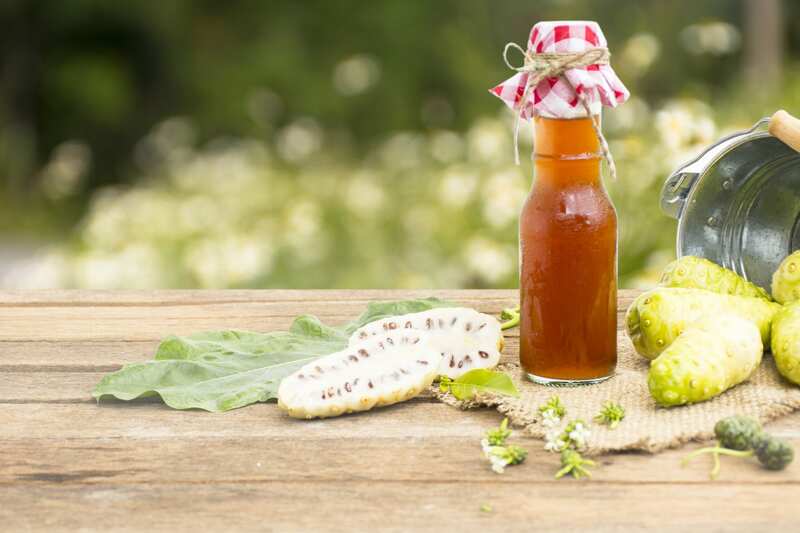 If you desire to use noni fruit juice as a part of a natural treatment plan, please consult with your healthcare provider as dosage levels can vary based on several factors including age, current health condition, and health history.